Please see list below or contact your local quilt shop! PXRO5 - On The Go! Please contact us directly via e-mail or phone to order these new 2017 designs as they are not available on our website yet!!! 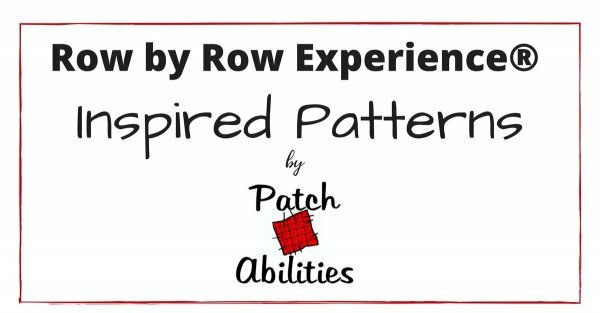 The new 2017 designs are NOT available on our website until the 2017 Row by Row Experience has ended on September 6, 2017. Why? 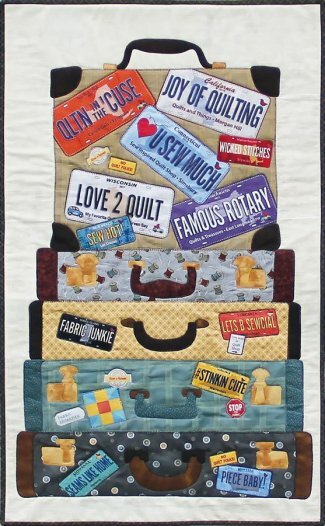 Out of respect for the quilt shops and the entire Row By Row Experience. 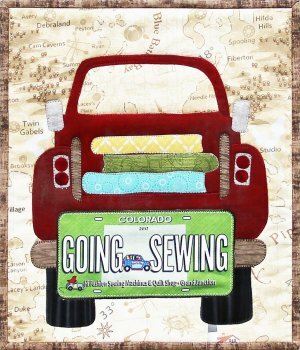 The idea behind Row by Row is that you get out and visit all of these fabulous quilt shops!!! If you don't know where to go, please visit one of these fine establishments listed below! These patterns can be made as a vertical row in your quilt or a wall hanging!